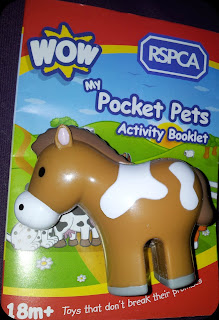 The Mini Mes love animals, with Minxy longing to be a vet when she is older, so the new My Pocket Pet figures from WOW Toys and the RSPCA are the perfect pocket money pals! 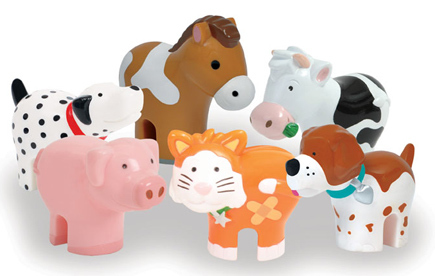 The cute and collectable RSPCA Animal Figure packs are suitable for children over the age of 18 months and created by WOW Toys. There are 6 animals to collect in this series: Pippi the pooch, Socks the cat, Clarissa the cow, Patch the pig, Wiggles the Dalmatian and Jenny the horse. Every pack contains an animal figure and an activity sheet. The sheet includes activities like colouring in and dot-to-dot which is great for building fine motor skills. There is a cartoon and information on animal welfare teaching the importance of taking care of animals. The Mini Mes thought these were really sweet, although they are aimed at a slightly younger age group, and they liked the idea of each foil wrapped toy being a surprise until it was opened. They have had fun with the figures in the bath and combined with their other animal and character play sets too. 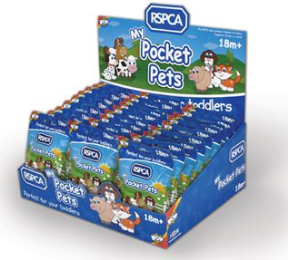 RSPCA MY Pocket Pets will be on sale with an SSP of £1.99 which I think is good value. 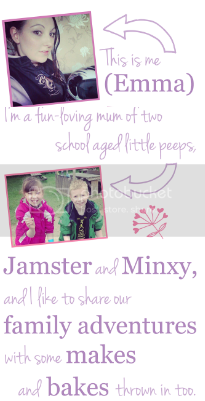 It makes a nice treat as an alternative to sweets and would go well in toddler party bags. You can purchase your figures from a variety of high street and online outlets including Waterstones, Tesco, WH Smiths, Tesco Direct and Amazon and participating RSPCA outlets. The toys will also be listed in independent toy shops as well as a number of post offices and newsagents. 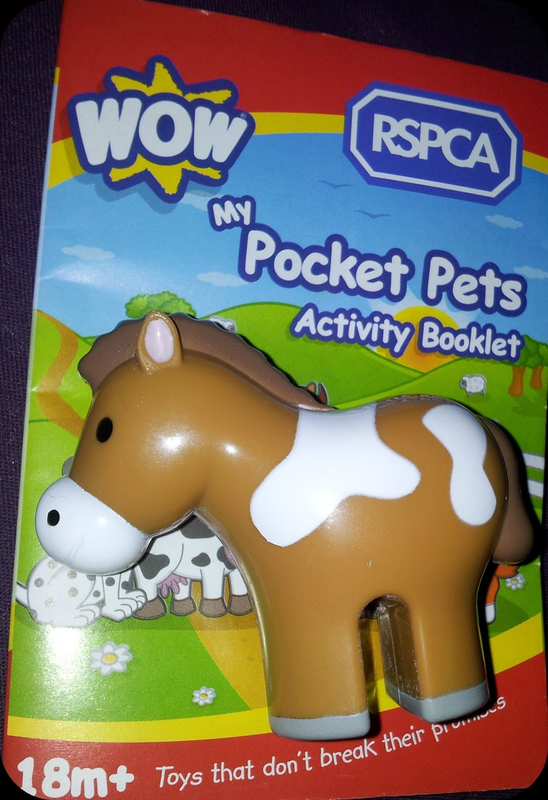 For your chance to win 1 of 6 RSPCA My Pocket Pets you can enter via the Rafflecopter entry form below. The giveaway closes on 15th March 2013. Ahh my little girl would love the horsey! E would love the puppy! My niece would like the pig and pony the most. I've followed as JudeVFR400 on GFC. I think it has to be 'socks the cat'. My little girl would love the cow. My little girl would love the pig - they are her favourite animal! The horse as she loves playing with horses. My daughter would love the dog! My daughter would love the pig, she loves anything with piggies on! Pippi The Pooch would be nice for my little one. we are fans of wow toys. I saw these in a tweet some time ago, they are so cute and good to take in the handbag as a playful distraction when on the go. wiggles the dalmation - we used to have a dalmation! Lara would love all of them, probably the cat most of all. 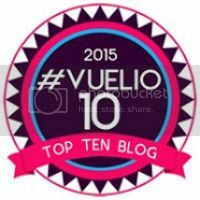 following through networked blogs, under name sam. The pig.. Amelia is Peppa mad ! Mine would like either of the dogs. We'd love Clarissa the cow if we win! 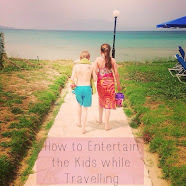 I don't have any children but would love to win one for charity, to go to Romania. I think the cow is cute. wiggles the dalmation, lets hope she doesnt want 101 of them!!!!! They are all great but i love the cat! Would have to be the pig! My son would love the pig, they are his favorite farm animal. What a great idea pocket money toys that raise funds for such a great cause, I always pop some change in as I pass a collection what a great cause.